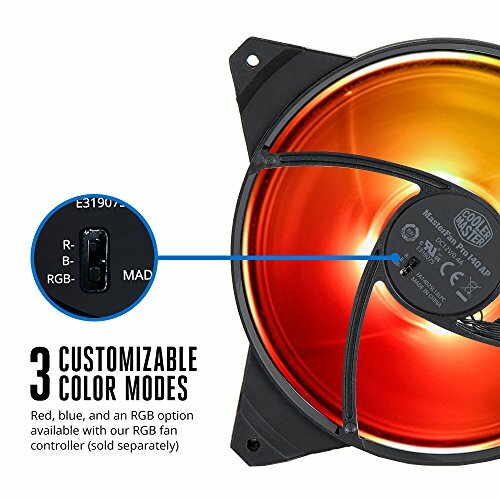 For an intense cooling solution for your PC components with added flair, look no further than the MasterFan Pro 140 Air Pressure RGB. Ideal for high-pressure blasts of air to your components in hard-to-reach spaces, our unique fan is heavily inspired by the blades of a helicopter. This high-octane design allows an intense burst of focused air across short distances to cool smaller components directly. Additionally, three easily adjustable speed profiles, layered noise reduction, and jam protection technology keeps all of your hassles to a minimum. 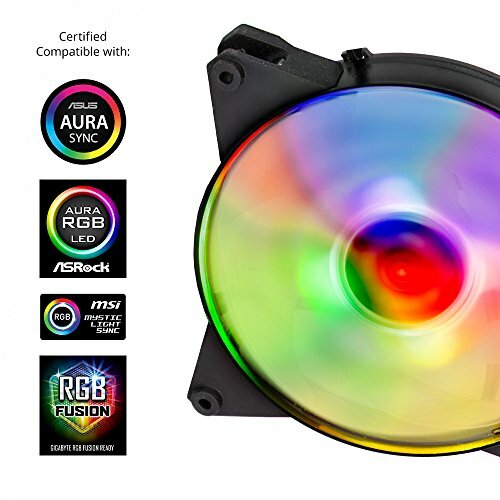 And with RGB capability, your case will look as cool as it feels. 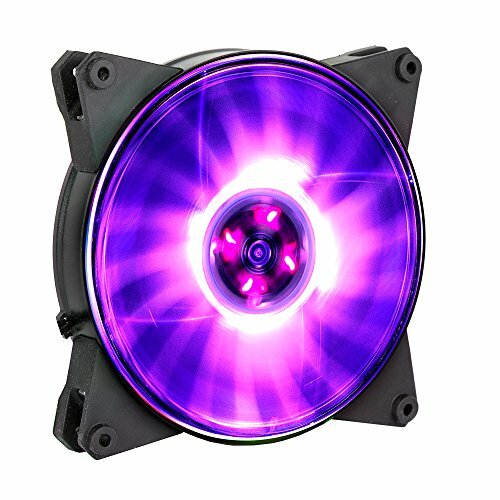 Aura Sync compatible!! Not too many fans are. Silent and looks good, but not stellar. 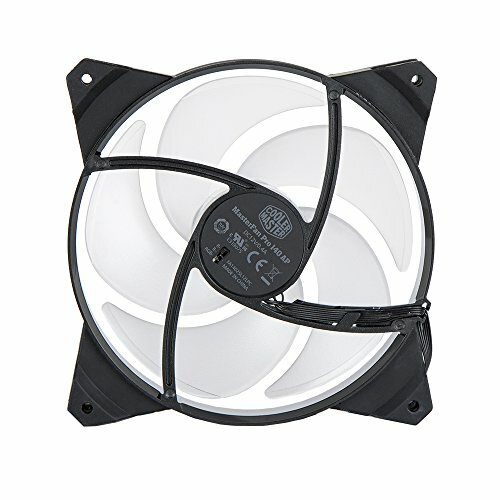 I was going to get HALO fans, but I needed 140MM fans for my enthoo case and the cheapest HALO fans were 35 USD each. No thanks. They wobble a little bit if you look closely, but they push air nicely and keep my rig looking like a charm. from completed build "Little Fatty"